At the fair, students and parents will enjoy hands-on interactive exhibits that demonstrate a wide array of professional and skilled career choices. Exhibitors from the surrounding business community aim to provide students with access to the necessary knowledge, skills, and the confidence they need to secure successful futures. Interactive photo booth with souvenir photos to take home. 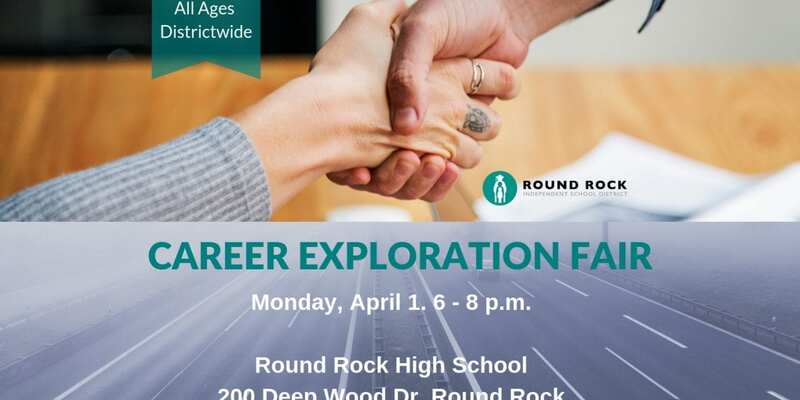 The Career Exploration Fair offers students the opportunity to discover, consider and get excited about becoming future ready. Brought to you by Round Rock ISD counseling services and sponsored in part by the Round Rock ISD Partners in Education Foundation.